Do You Want To Showcase Your Business? The Coppell Chamber of Commerce offers numerous opportunities to showcase your business at events throughout the year. 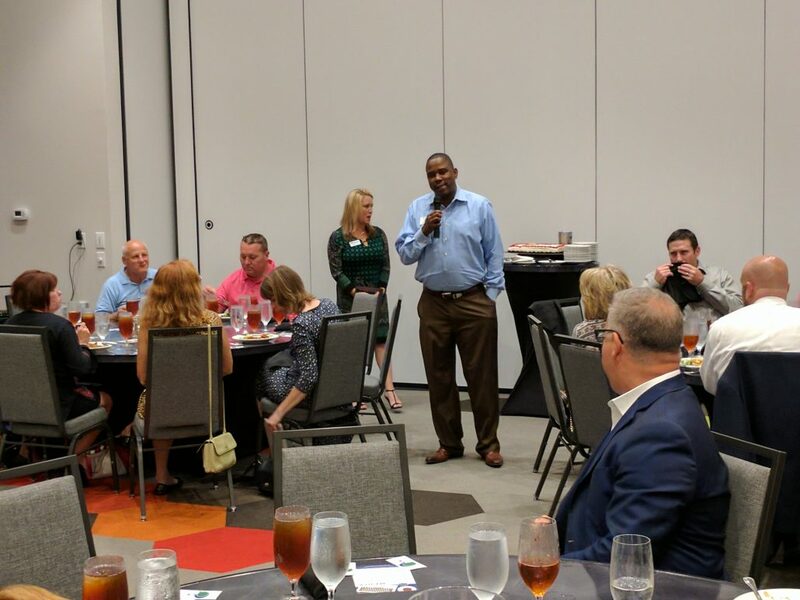 Chamber members can sponsor our Monthly Luncheons, Women in Business Luncheons, the Community Health and Wellness Expo, the Chamber Golf Classic, the Taste of Coppell, the Members’ Choice Awards and Community Gala and more. You can also secure a sponsorship through our weekly newsletter, which is sent to more than 2,000 emails, or on our website, which was viewed by more than 70,000 people last year. View the link below to see all sponsorship options for 2019. If interested in becoming a sponsor, please fill out the form and send it to either Mike@coppellchamber.org, or @Ellie@coppellchamber.org. Networking, professional development, community involvement, and recognition are all available to you. The Coppell Chamber of Commerce offers everything your business, big or small, needs to grow. The Coppell Chamber addresses issues important to you, your business, and your community. The Chamber hosts annual, quarterly, and monthly activities. We work to get you the tools and resources that your business needs to succeed. Monthly, the Chamber hosts a luncheon featuring the opportunity for businesses and their employees to network. 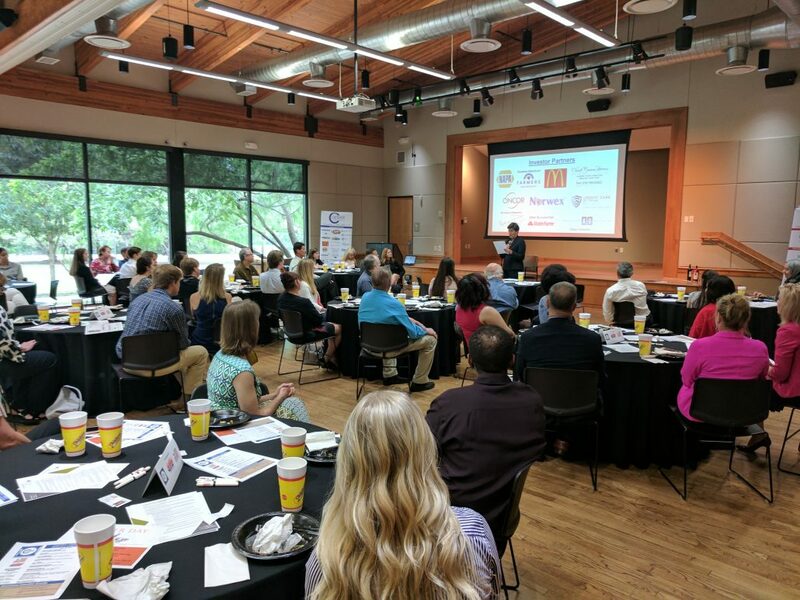 Attendees hear an update on the city of Coppell from the Mayor or another elected official and an update from the Chamber President on Chamber programs and upcoming events. The gathering also features a different guest speaker each month, however some months are designated for standing programs such as the State of Education in September, State of the City in October and Honoring our Veterans Luncheon in November. 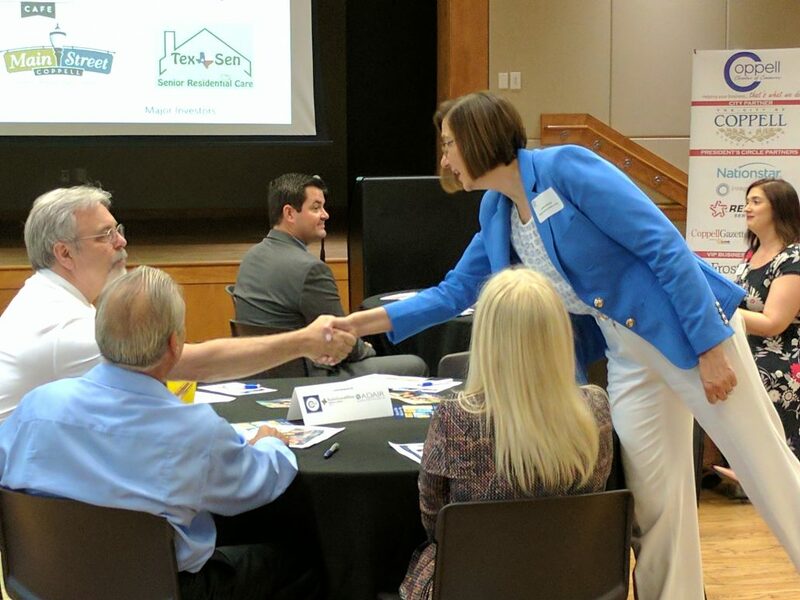 The Chamber Connections Program encourages networking and business growth among business professionals through referrals and participation. At every meeting, each participant has 30 seconds to educate others about their business. There is the chance for one member to give a 5 minute spotlight presentation. Connections Breakfasts are held at 8 a.m. on the fourth Tuesday of each month at Hard Eight BBQ. This program showcases healthy options and businesses available to Coppell residents by allowing members to experience fitness trainers/gyms, nutrition education/assistance, local doctors and facilities that have available programs to promote healthy living, etc. The Ambassadors are the goodwill arm of the Chamber. This group of dedicated volunteers welcome and shepherd new members and promote member retention by attending Ribbon Cuttings, Groundbreakings, Open Houses and Mixers. 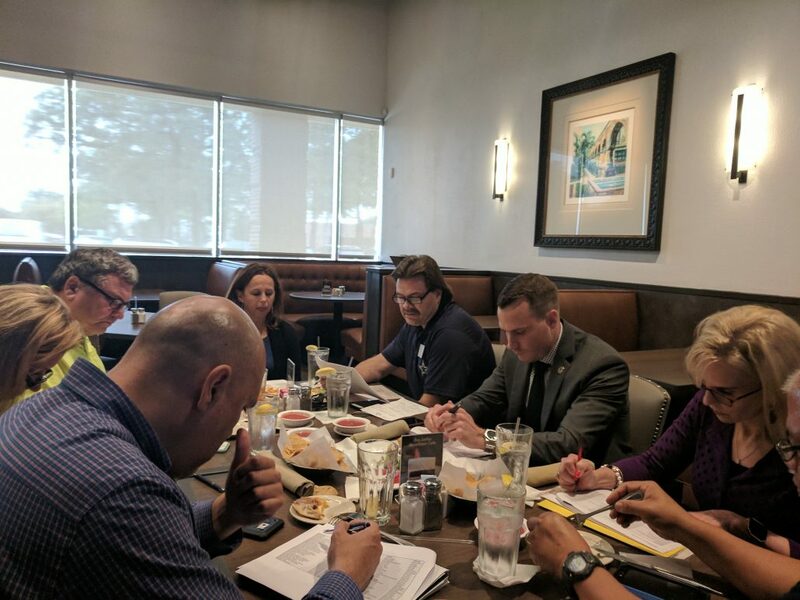 A monthly meeting is held to assign new members to Ambassadors for continued contact in helping to integrate new members into the programs and events available through the Chamber. Mega Market is a three-hour event focused on networking, and the unique opportunity for companies to present their products and services to around 50 engaged clients. Mega Market is a great opportunity to increase awareness, grow your business contacts and build business relationships. With a concept similar to “speed dating” you are able to make several weeks worth of cold calls in one afternoon. Celebrate the best of Coppell at the Members’ Choice Awards and Community Gala. The Chamber, with help from its membership, will award the Large Business of the Year, Small Business of the Year, Emerging Business of the Year, Non-Profit of the Year, Ambassador of the Year, Volunteer of the Year and the Coppell Chamber of Commerce Leadership Award. The evening is a star-studded, black-tie affair, as the whos-who of Coppell come out to celebrate the business community. The best business deals are closed on the golf course, and it comes to the Coppell Chamber Golf Classic business is the name of the game. Now in its 26th year, our annual event has been attended by hundreds of business professionals who come for the golf but leave with sales leads, prospects and strengthened client relationships. Enhance your company’s profile by being an active participant in this well-attended event. Top sponsors also participate in the Chamber Cup, a tournament within a tournament. The Taste of Coppell showcases the many great restaurants and eateries that make Coppell a truly desirable destination for a wonderful dining experience. This exciting and highly anticipated annual community event features local restaurants sampling a variety of food and beverages.